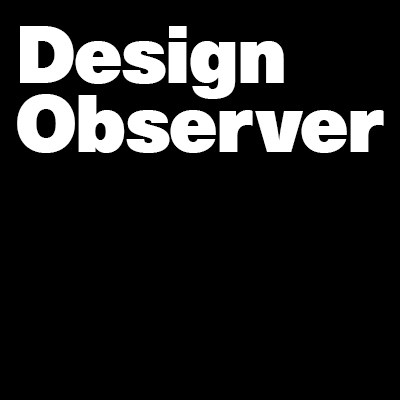 It was always our intent for Design Observer to include many voices, and we've published over thirty guest observers in the past year. Two writers have become frequent observers in recent months, and we are delighted to introduce them as new contributing writers to our line-up. Steven Heller and Alice Twemlow will be posting regularly from now on. In his collections, essays and books, the ever-prolific Steven Heller has captured and characterized so much design history that it makes most of us feel like mere mortals. Doing what he does best, Steve will write design history pieces for Design Observer, as well as occasional news and review posts. For 33 years, Steve was an art director at The New York Times, and recently, launching columns in Times Select and the Book Review. He is co-chair of the MFA in Design program at the School of Visual Arts in New York, co-founder wth Alice Twemlow of the school's MFA in Design Criticism program, and the author of over 100 books on design, political art and popular culture. Alice Twemlow has wide-ranging interests, an insatiable curiosity about the world, and an original critical voice. She is young, but wise; sophisticated, but unpretentious; quick on her feet, but capable of profound investigation. European-born but American-based, she brings a particular global view to her writing, which spans graphic and interactive design, architecture, film, politics, media criticism and no shortage of theory. Alice is chair of the MFA in Design Criticism Program at the School of Visual Arts in New York, and an PhD candidate in the Design History Program at the V&A Museum and the Royal College of Art in London. We are delighted to have Steve and Alice join our stable of regular writers here at Design Observer, and we very much look forward to reading their essays.